True to what was confidently disclosed by seasoned 'Apple insiders' and 'industry experts' many months ago, Apple indeed launched its first ever legit flagship phablet at its exclusive media event held in California earlier this morning. 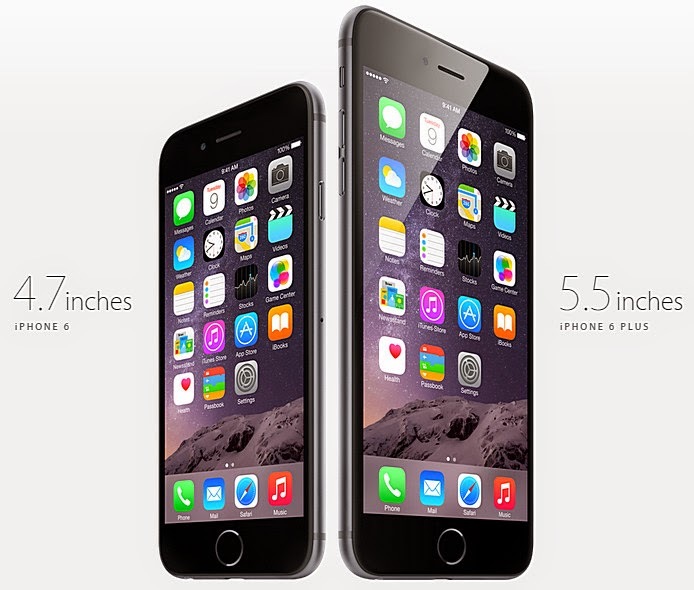 Practically just a stretched-out, larger version of the smaller co-flagship Apple iPhone 6, the metal-clad Apple iPhone 6 Plus comes with a number of cool new features here and there -- apart from flaunting a larger 5.5-inch Full HD Retina Display. TP Tidbit: Contrary to what we had expected, both the iPhone 6 and iPhone 6 Plus do not have a shatter-proof ultra-durable Sapphire crystal touchscreen. If you remember, many months ago, Apple signed a $578 million deal with touchscreen-maker GT Advanced Technologies for the purchase of 'sapphire goods'. We thought Apple would already be using them on the next-generation 4.7-inch and 5.5-inch iPhone variants but, as it turned out, the material merely debuted on the Apple Watch. 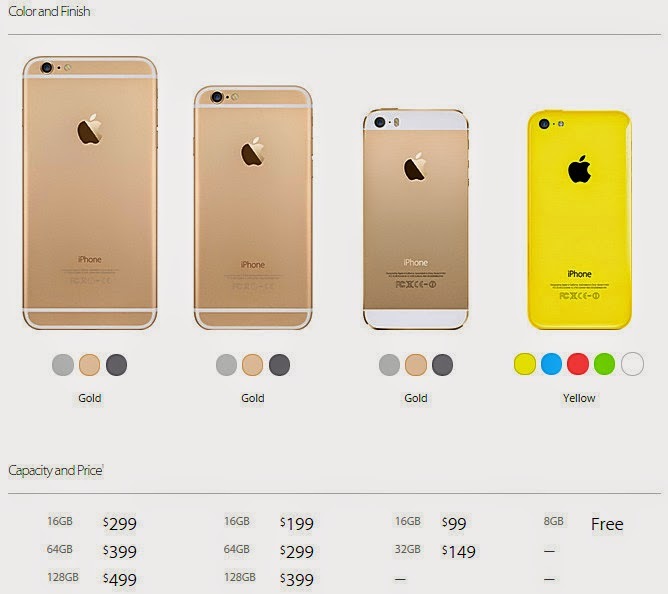 The two 2014 smartphones by the Cupertino company share the same Apple A8 processor, M8 co-processor, Fingerprint Sensor on top of the home button, and Apple iOS8 operating system that comes replete with a simpler and more intuitive user experience as well as refreshed Messages and Photos applications, QuickType keyboard, Family Sharing, a new Health App, and iCloud Drive. As I've shared, the second generation 64-bit desktop-class architecture Apple A8 chip offers faster performance and is more energy efficient, delivering higher sustained performance with great battery life compared to the Apple A7 processor powering the iPhone 5S from last year. The M8 co-processor, on the other hand, gathers data from the accelerometer, gyroscope, compass and the new barometer, which senses air pressure to provide relative elevation, and continuously measures your motion data, even when the device is asleep, saving battery life for fitness apps that use the sensors all day. According to Apple "With iOS 8, motion data from M8 appears in the Health app so you can see how many flights of stairs you've climbed, or how far you've walked or run. Developers can use CoreMotion APIs that take advantage of M8 and HealthKit to create apps that help you take better care of your health and fitness." Like the regular iPhone 6, the Plus version is equipped with the new 8 MegaPixel iSight camera with improved sensor that now comes with 'Focus Pixels' for faster autofocus in addition to its large 1.5-micron pixels and ƒ/2.2 aperture. But what makes Apple iPhone 6 Plus' main camera module even more special is that it features Optical Image Stabilization, which lets you capture crisp and clear shots even when you're walking or your hand is shaking as it compensates for movement while you're taking photos. As for video capture, you can enjoy higher frame rates up to 60fps for 1080p video and 240fps for slow-motion clips, as well as continuous autofocus, cinematic video stabilization and time-lapse video. On the other hand, the FaceTime HD front cam - with all-new burst mode and HDR video - is now capable of capturing over 80 percent more light with its more powerful sensor and larger f/2.2 aperture for brighter and more vibrant selfies. 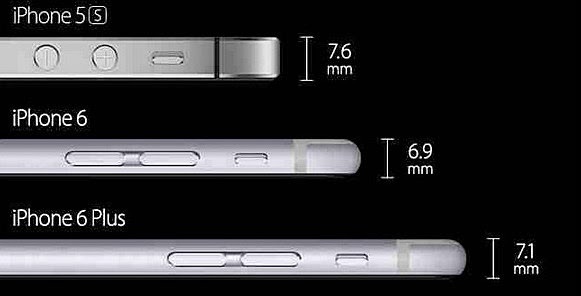 Apple iPhone 6 Plus may have larger display and a bigger battery - non-removable 2,915 mAh Li-Ion pack - than the 4.7-inch iPhone 6 but it's almost as thin -- measuring only 7.1 millimeters. When will it be available in the Philippines and how much will it cost? Apple's network partners in the Philippines - Smart Communications and Globe Telecom - have yet to announce the availability of both iPhone 6 and iPhone 6 Plus in their roster of devices bundled with postpaid LTE plans. Nonetheless, I believe the handsets will arrive locally within October or November 2014. As for the retail prices of Plus phablet's three variants, our guesstimates are Php 43,999 for the 16 GB version, Php 49,599 for the 64 GB, and Php 55,899 for the 128 GB model; These figures are based on the devices' official SRPs in the United Kingdom. Quite hefty, right? Well, it's Apple. Update as of September 19, 2014: Kimstore, the most trusted online store in the Philippines, has just posted its price schedule for the Apple iPhone 6 Plus; 16GB - Php 89,999, 64GB - Php 96,999, 128GB - Php 98,999. Note that these are only introductory prices and they are expected to drop slowly within the next few weeks. Availability September 19, 2014 in Key Territories including US, Canada, Hong Kong, etc.